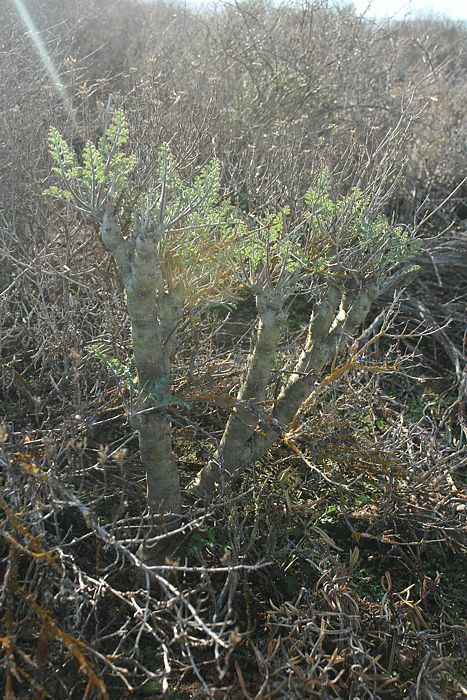 Up to 1 m tall shrub with an upright, up to 4 cm thick main stem branching at the apex. Roots simple, i.e. without tubers. 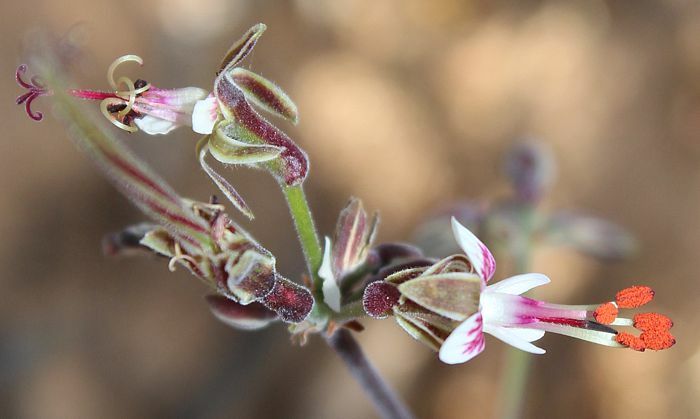 Succulent, up to 30 cm long, pinnate to bipinnate, margins round, crenate. Branched, with up to 15 pseudo-umbels, each with 15-20 flowers. Pedicels rarely longer than hypanthia. Credit: ©Tony Rebelo, reproduced with permission of the author. 5, narrowly elliptic, with narrow hyaline margins. Hypanthium 3-8 mm. Ovate and not linear as in P. laxum ssp. laxum, sharply reflexed at ~180 deg, not S-shaped. 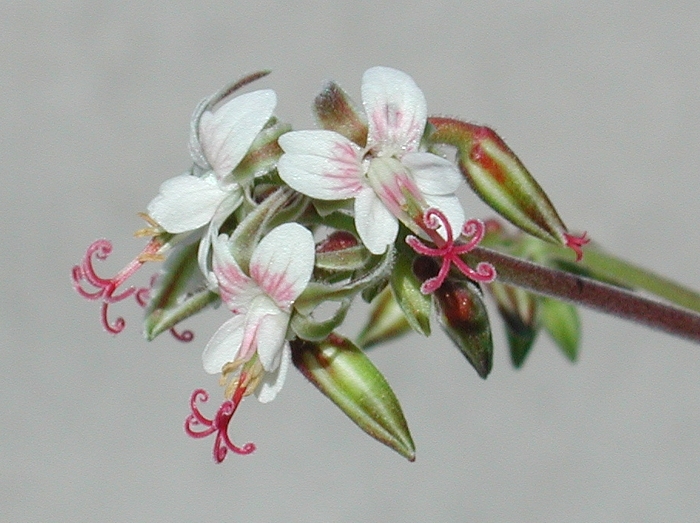 The posterior petals have intricate purple markings. The ears are not glabrous but are covered with long hairs. Fertile stamens 5, exerted, 2 longer, 2 intermediate, 1 shorter, pointing downwards. 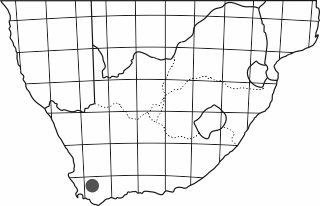 P. keeromsbergense was originally described from the slopes of Keeromsberg near Worcester, hence the name. 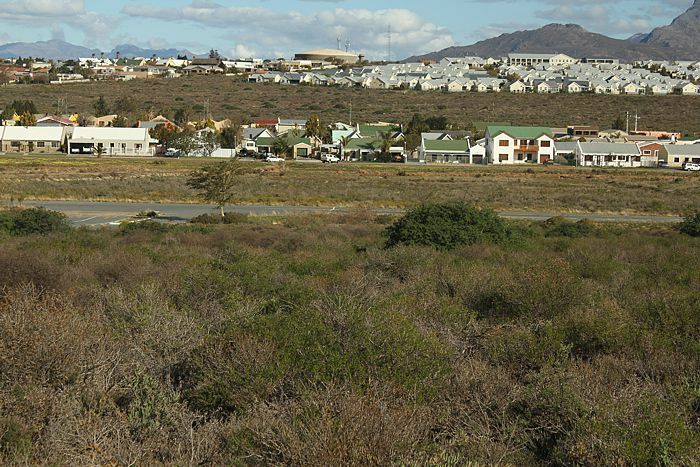 However, it is found in scattered populations all around Worcester - including its very urban suburbs, such as here, close to one of the biggest shopping malls on N1. It keeps company to P. rapaceum, P. luteolum and P. flavidum. It is truly remarkable that species such as this go on unnoticed for so long! 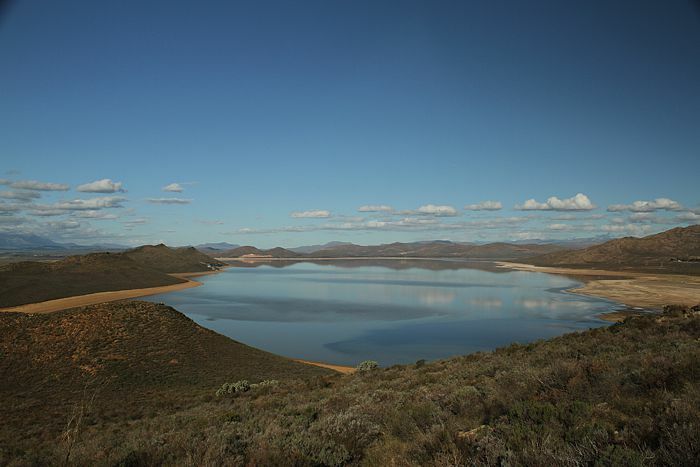 P. keeromsbergense is also found on the hills surrounding the Theewaterskloof Dam in the immediate vicinity of Worcester, here in a rather sad state of affairs in the winter of 2017, after three years of incredibly scant rain. Flowers of what looks like a natural hybrid with infertile stamens from S Aan de Doorn near Worcester. 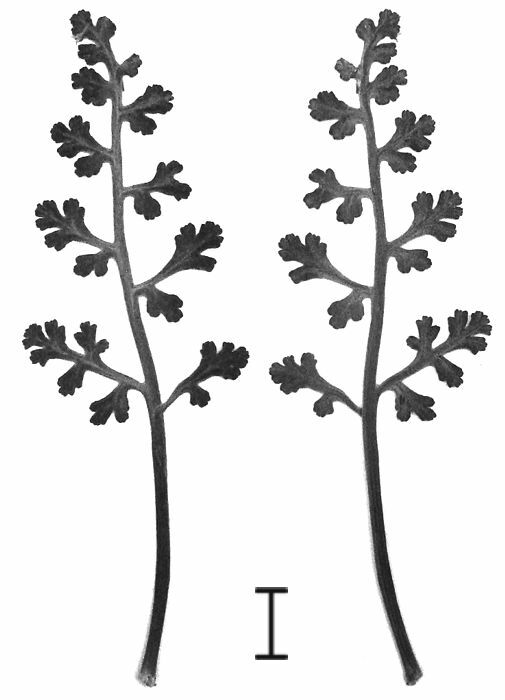 As with most section Otidia species, those from the laxum-complex hybridise with P. carnosum, P. parviflorum and possibly other taxa relatively frequently. Becker M., Schäper K., Albers F. (2008).